Ibiza's summer 2018 season got off to a flying start on Saturday night as Hï Ibiza welcomed Black Coffee for his and the club's official opening party. With extended opening hours, the crowd were kept dancing well past sunrise. 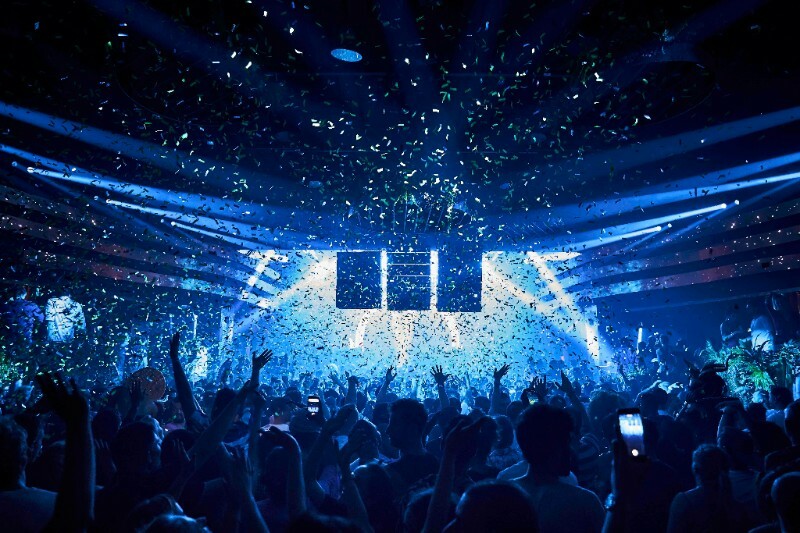 This summer Hï Ibiza will host an impressive selection of residencies from the world's biggest DJs and club brands, including Tale of Us' Afterlife, Glitterbox, Cream Ibiza, Eric Prydz, Black Coffee, Armin van Buuren and much more. Cream Ibiza moves to its new home at Hï Ibiza this summer, taking over Sundays from 24th June - 23rd September. As the island’s longest running UK club night, Cream continues to be a must-visit party in Ibiza each year. Expect to see some of the biggest names in dance music, including Diplo, MK and NERVO, playing alongside Cream Ibiza’s long-established residents, with British hit-maker Jonas Blue, hosting the Club room with his Electronic Nature concept. GangStar Ibiza is a brand new hip hop and urban music concept taking over Mondays from 4th June - 24th September. Created by The Night League and Cathy Guetta, the party will be serving a mix of urban music classics, hip hop, rap and R&B beats. Watch out for a line-up announcement coming soon. Eric Prydz returns to the Hï Ibiza Theatre every Tuesday from 10 July - 25 September, joined weekly by Camelphat and Christoph. Expect more of the same immersive spectaculars for 2018 as Prydz treats crowds to a blistering and inimitable blend of house and techno along with a visual and audio experience like no other. Meanwhile, over in the Club room, influential Manchester duo Solardo will welcome Mason Maynard, Lauren Lane, Monki, Huxley, Secondcity and more to their Club Solardo residency. Wednesday nights fast became one of Hï Ibiza’s most popular residencies in 2017 thanks to Armin van Buuren ruling the Hï Ibiza Theatre and house innovators Sunnery James & Ryan Marciano in the Club. With another series of high octane sets planned every Wednesday from 20th June - 19th September, the residents will be joined by guests including Aly & Fila, Andrew Rayel, Cosmic Gate, Fedde Le Grand, Markus Schulz, Roger Sanchez, Sam Feldt and much more.